Ok, show of hands (and be honest, I can see you through your webcam), does your company provide social customer service through your actual customer service department? Or does Marketing handle it; or some other department or combo? During a webinar hosted by Jeremiah Owyang (a must follow) earlier this month, he stated that roughly in 70% of the cases, Marketing handles social media, including customer service inquiries. In my own experience speaking with customer service executives and at conferences, I estimate less than 10% of customer service departments handle support related inquires or comments. Why? 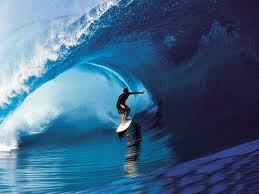 Why are you not riding the Social Customer Service wave or are you waiting for the wave to crash into you? Background or Myth: Marketing should handle social media stuff because of possible public relation issues, social media is a marketing job, or it’s just always been that way. Reality: Social media is a tool of social business, similar to your phone system being a tool for your customer service. You probably don’t own the phone system, and Marketing probably doesn’t need your permission to use the phone. If individuals are afraid of a public relations issue being created through social media, do they monitor all of your outgoing emails and chats? An email or a chat is equally “socialable” through their own technology or in combination with other social networks. Similar to email and chat technology channels, best practices, process and clear roles and responsibilities are needed to execute effectively. Your customer service team is best equipped to handle service inquiries and provide content that helps educate your customers. And anytime someone tells you it’s always been done that way, you know it’s time for a change. Reason #2: If a tree falls in the woods, does it make a sound? Background or Myth: You know there are millions of people on social sites like Facebook, but they are not talking about our brand or service (or at least we haven’t heard it). Reality: If you are not listening, how can you know if someone is talking about or to you? Have you ever put your company name (or variations of) into Google Blog Search or into Twitter’s Search? There are tremendous amount of free tools to use to listen to understand if people are talking to you or about you. I prefer Hootsuite for Twitter and Google Alerts for everything else on the web. It’s now common place for people to express their opinions to their friends, family and followers on the web, and it will only become more common. Per Socialnomics, ½ of the world’s population is under 30, they do not know what life was like before the internet (think about it). Background or Myth: As compared to our other channels, social media related channels are such a small percentage of our overall volume. Reality: The previous statement is both true and false. It is true for an actual physical count of tweets, Facebook posts, blogs commenting on your business, and LinkedIn discussions, but it does not accurately reflect the impact. For example, at Constant Contact (where I work), the average person tweeting positively or negatively about us has approximately 1300 followers. Over the course of 2010, there were almost 1,000,000 impressions of positive or negative commentary. Now not all of those impressions were influential, but even if a small portion (10% or 100,000) were influential, doesn’t it make sense for you to be a part of those conversations? Background or Myth: In many industries, such as healthcare and financial services, public “discussion” of personal information can land your company in a heap of legal and compliance trouble. This statement is true, but there are reasons to still get engaged. Reality: Probably the most valuable aspect of social customer service (at this point) is pure acknowledgement of being heard. If someone mentions you on the social web, you should still acknowledge their message and then offer to take it to a more secure channel. If you need to track even these minimal conversations, you can do it manually or if you have the scale, most CRMs now are available with social tools integrated into their workcase management. Regulated industries are typically complicated, which also makes them ripe for proactive outbound communications to your customers about your products and services. Blogs, branded communities, Twitter, Youtube and LinkedIn provide fantastic platforms for educational content that can be pulled from existing sources like your knowledge base or marketing materials. Background or Myth: There is very limited data or information on how to get started in social customer service, let alone operationalizing it. 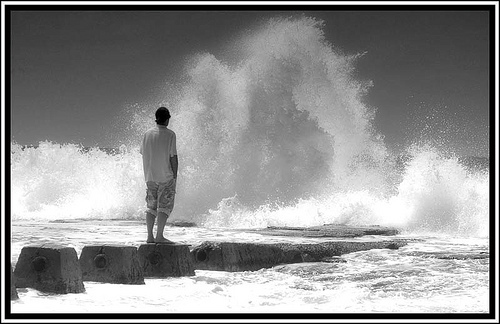 Customer service leaders have a choice, try to stand strong against the incoming wave, and hope it does not knock you over (or provide a competitive disadvantage), or pick up your board, paddle out and ride the wave. This trend may not have all the same tools at the end of the day, but the premise of social business will remain, and become more prevalent in our lives and the lives of our future customers. To chat with a bunch of other smart people about the topic of social customer service, and getting started, join me, Brad Cleveland, Bob Furniss & Todd Hixon for a tweetchat presented by ICMI on Tuesday, 8/23 @ 6:30 pm CST – follow hashtag #CCDemo11 for up to date details and more information.